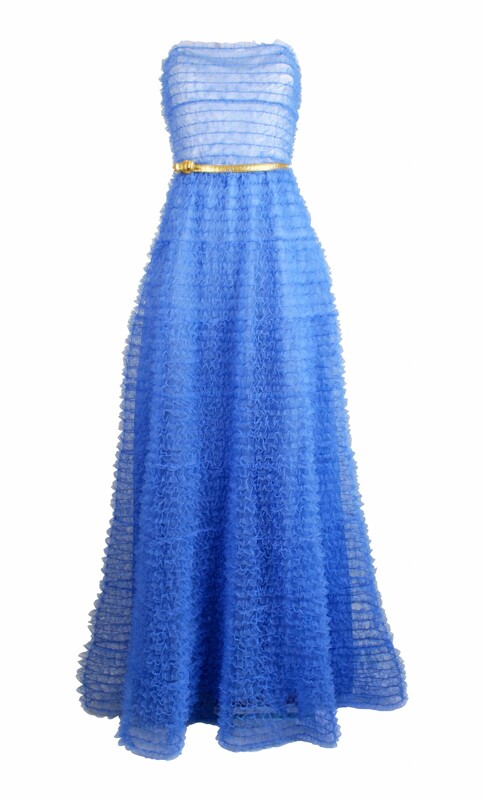 The blue gown is cut from a ruffled tulle fabric and features a bow waistband made from a gold-plated metallic (bronze) ribbon. Strapless, internal boned bodice, concealed zipper along the back, top of the gown lined in ivory and the bottom in blue. Fabric: 98% polyamid, 2% polyester.